It is with heavy hearts that we can confirm that two of our radio tracked Naja siamensis individuals have been killed. NASI003 appears to have been eaten in the village, as we found the transmitter looking suspiciously clean in the bushes next to a house. NASI009 was unfortunately pancaked onto the highway. What’s left of him, and the transmitter have been laid to rest in Bart’s fridge. What’s worse, it seems that both our snakes died on Christmas day! So all in all we are now down to just 3 snakes, a pretty devastating blow to the project (and our sample size!). NAKA012 has been up to his old tricks, dragging Bart, Sami and Curtis through forests, thorns and more spider webs than you can count. However he has reduced his movements within the last few months (no doubt warming up for rainy season). NAKA003 has remained in close proximity to the station making daily checks pretty easy. NASI011, our most recently captured snake, has spent most of the last 3 months in a single hole. She’s just started venturing off into the villages so hopefully she’ll start to give us some interesting data soon (while staying out of trouble). So in early February after 6 months of hard work, Curtis Radcliffe, the Naja project’s 1st volunteer departed for home. Curtis was an excellent tracker and has been absolutely invaluable for the running of this project. We wish him all the best, and hope to convince him to come back out soon! So on a more uplifting note, the Naja project has recently been joined by our newest volunteer: Lydia Snow (and now her watch begins). You can find a bit out about Lydia Snow and what she’s been getting up to here. So all in all a pretty busy few months. We are just now leaving cold season (below 20 degrees in the day, how did we even cope) and entering hot season (plus 40 in the day, motorbike seats have become a serious burn hazard!). 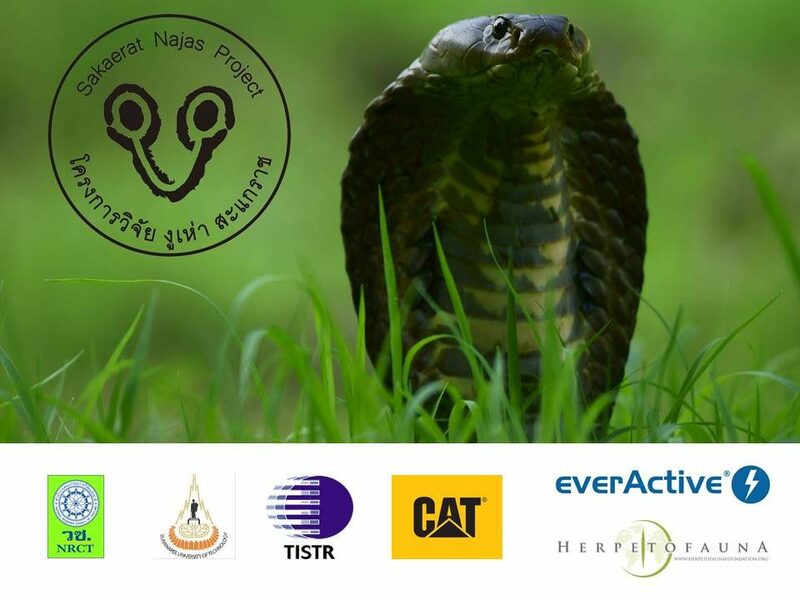 This likely means more activity from our cobras, and hopefully, finding more snakes for the project. We will keep you updated on our progress, snakes and any developments we have on the project. Stay tuned! In beginning of last December Naja Team was chilling in the evening, enjoying well earned few beers. Everything was going smooth. Believe It or not we did not even talked about snakes for most of the time. In middle of our time off we received snake call. This time it was not crazy, rush call. Snake was already captured and baged by the villagers. First time in good while we went without pushing the tempo to pick up cobra from someone’s household. When we arrived to the site, villagers were relaxing like nothing happened, enjoying their beers and rice wine. They gave us bag with cobra inside. They told as that snake was spotted moving out of the toilet… seams that cobras like toilets. Any way, snake was not harmed while capture and that made us really happy. Ladies and gents this is Indochinese Spitting Cobra Naja siamensis Nasi011, 1.4 m, 750 g, female.